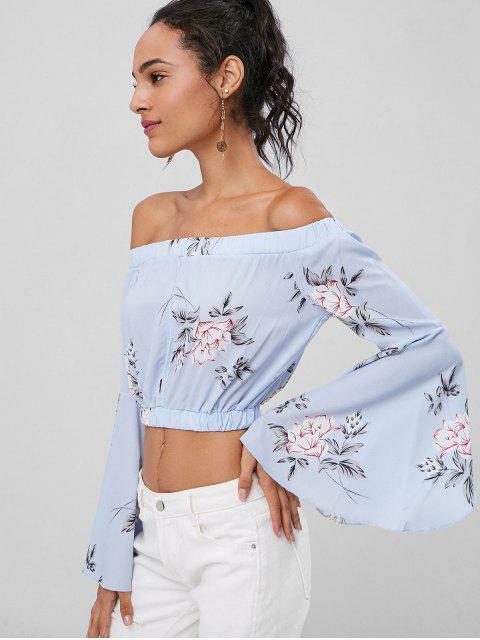 [37% OFF] 2019 Floral Bell Sleeve Off The Shoulder Top In SEA BLUE | ZAFUL .. 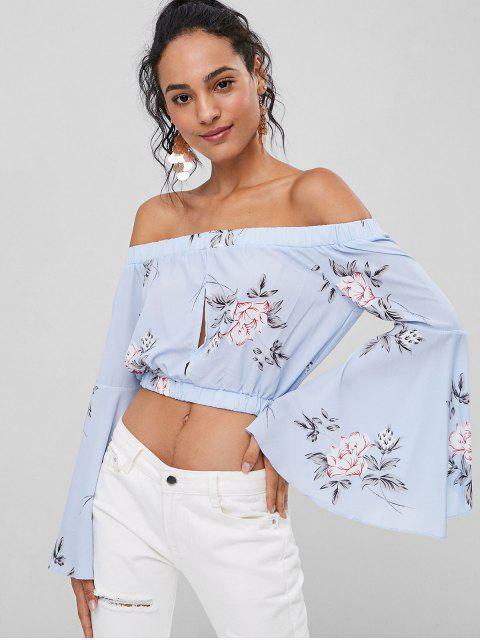 Designed to sit off the shoulders and detailed with dramatic bell sleeve cuffs and delicate floral-prints throughout for a romantic finish. 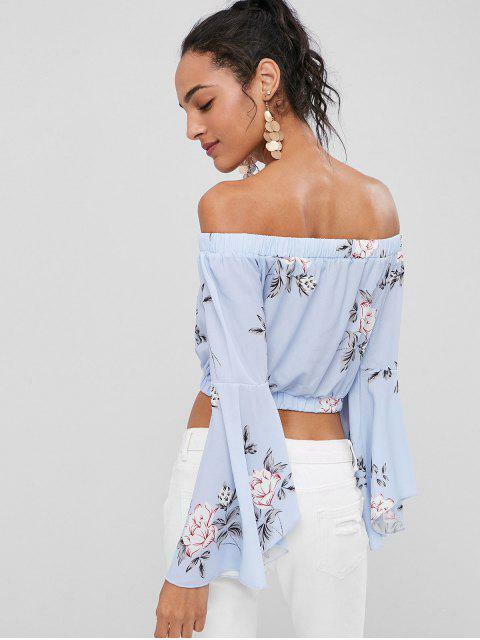 It makes a pretty pairing with high-waist jeans.